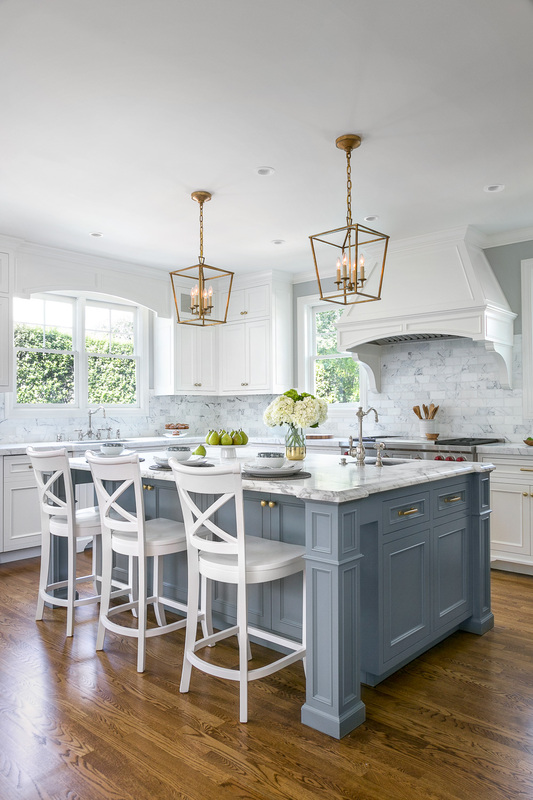 Two photographs of the same lovely kitchen (Christine Sheldon Design), but one angle of this kitchen has gotten over 61,000 likes and shares while the other has gotten over 6,000. Though 6,000 saves aren’t bad, the other similar angle received 10x the engagement. Why? Photo A, the top photo with 6000 saves, is the straight on shot. It shows the overall layout of the kitchen and how the room flows. It is a satisfyingly symmetrical shot and its value is that it helps to set the stage to tell the story of this kitchen and lead the viewer in. It is a valuable photo to have in a project portfolio, but less intimate. Photo B, the vertical angle with 61,000 saves, is still an overview of sorts but a tighter perspective, showing more of the appealing details of the kitchen. This angle allows the viewer in to make note of the color choices, the details of the cabinetry and hardware, the design of the chairs, and the texture of the marble backsplash but up close and in a personal way. Lesson learned: It is important to document a design project from multiple angles to allow a potential client to observe the fine details and thought brought to a project. Overviews, ¾ shots, vignettes, and detail shots all contribute to telling the story of a great design project but a variety of overviews are key in helping the viewer dream of themselves in a space.